Disclosure: This article contains affiliate links which I make a small commission from when my readers purchase from the link. I only promote services and products which I think will benefit my readers and that I have personally tried myself. Having a Pinterest marketing strategy wasn’t something I initially thought of when I first started my blog. Like many, I thought that Instagram was going to be my most beneficial platform. And you’ve also probably thought to yourself, “Pinterest Marketing isn’t for me. I don’t write about recipes or crafts“. 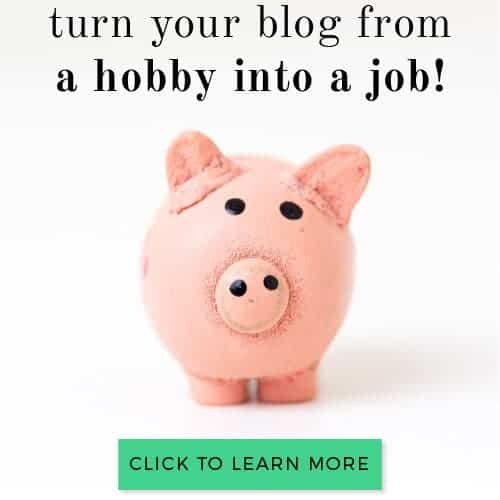 Those were my exact thoughts as well, but when I started listening to other bloggers, I figured that I should try and incorporate Pinterest into my social media marketing strategy, and get to know the platform a bit better. When I first began blogging, I felt as if I was writing to nobody. I was lucky if I had 1 or 2 people visit my site per day. The screenshot below is only for my traffic in which I have received from Pinterest. 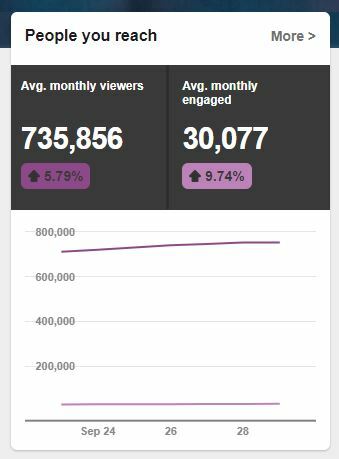 As you can see, as of April 30 2017 (the first point) I was getting absolutely no traffic from Pinterest. A month later, after beginning to pin a little here and there, I only got 127 visitors from Pinterest to my site. In mid-May, I started to implement a targeted Pinterest marketing strategy (which I will talk about below) and as of July 28, 2017, I am getting over 1,000 unique visitors per month from Pinterest with steady growth week by week. That is an 800% increase in traffic and now, like many other bloggers, Pinterest is my number one source of referral traffic, with search engines coming in close second! My Pinterest profile has over 200,000 monthly views, and guess what? 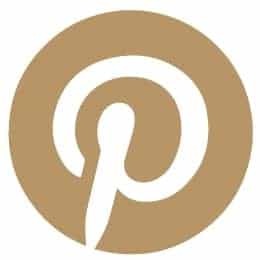 As of writing this, I only have 306 followers on Pinterest – yet my pins are growing exponentially each week and my traffic from Pinterest keeps growing as well. So basically what I’m saying is, you do not need to have a huge following on Pinterest to reap the rewards. You can still have an awesome Pinterest marketing strategy without having tons of followers or tons of money to spend on ads. Oh and the best part? I spend probably 20-30 minutes per week working on my Pinterest marketing strategy (the rest is me looking up recipes I’ll never make and hairstyles I’ll never be able to recreate). Are you excited yet? Because I know I am so excited to see you use Pinterest to grow your blog! Pinterest Mistakes You Are Making: Don’t make these same mistakes that I did. How to Make Money With Affiliate Links on Pinterest: Pinterest can actually make you money and I’m telling you exactly how you can use Pinterest to easily earn money with your affiliate links. Free Media Kit Template: Grab my free media kit template that you can edit right in MS Word! How to Look Like a Pro Blogger (Even When You Aren’t Just Yet): The title says it all! My secrets for faking it ’til you make it! 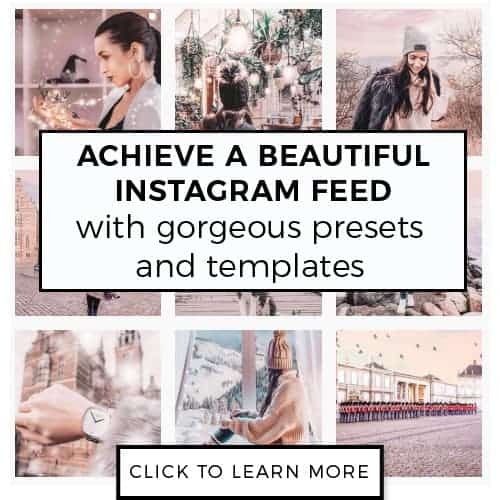 So let’s go through the exact steps I took in order to optimize my Pinterest account and let it grow on autopilot so you too can start getting traffic from Pinterest! First things first, sign yourself up for a business account on Pinterest so you are able to view your analytics and keep track of your progress. To sign up for a business account, click here! Once you’ve signed up for your Pinterest account, you will want to go into your profile and claim your website by clicking “Claim Website” along the left hand side of your profile settings. Once in this area, click the tab that says “Pinterest”. Go back to your Pinterest account settings and enter your URL where is says “Website” and click “confirm”. Copy and paste the entire piece of code into the box that says “Pinterest Confirmation” in Yoast and click save. As you can see with my pin above, the title is clearly displayed with my profile, the date the post was published and a link that will take the reader directly to my website that says “read it”. Rich pins help with your user experience on Pinterest and encourage them to click to your website. There’s no reason why you should not have rich pins! To add rich pins you will want to download the free version of the Yoast plugin to your WordPress website. Once you have Yoast installed and activated, click “SEO” in your WordPress sidebar and then click on “social”. From there, head into the “Facebook” tab. Here you will want to enable open graph metadata and save your changes. Let me tell you something – Pinterest is not a social media platform as much as it is a search engine. Rather than group Pinterest into the same category as Instagram and Facebook, start thinking about it more like Google. So what does that mean? Well, it means you’re going to have to brush up on your SEO a little bit. But don’t worry, I’ve got this beginner guide to SEO that will get you all caught up on the basics of keywords and all that fun stuff. First, update your profile photo so it is a clear photo of yourself. Nothing blurry or grainy. Your profile photo is the first thing most people are going to notice when they get to your profile, so make sure it’s good quality. Next, update your “About You” section to reflect who you are and what you do. This is where SEO comes into play. You’ll want to use keywords and sprinkle them throughout your profile. In your “About” section, use keywords that you want to be found for. 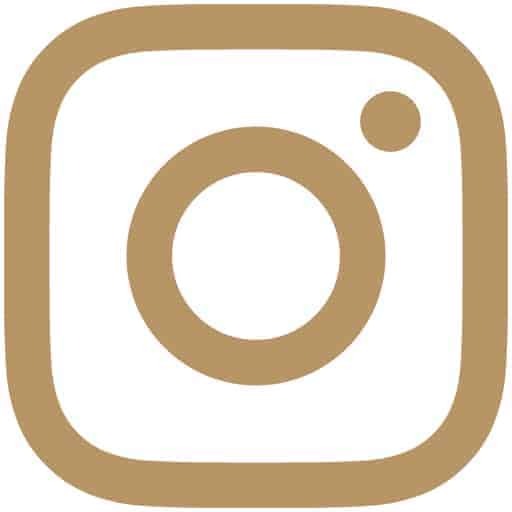 My bio for my profile says: “providing small business tips for biz owners and bloggers so you can grow your business through strategies that work.” The keywords I am targeting here are small business tips and grow your business. Next, go through all of your boards and make sure what you have visible is relevant to your business and make any boards that aren’t relevant, secret. For example, if you are a food blogger, keep your makeup board secret as it will just look confusing to anyone who lands on your profile. Within each Pinterest board you have, edit the name and description so they both incorporate more keywords that you think your target audience will be searching for to find the articles you write. I’ll occasionally see Pinterest boards with cute names that aren’t descriptive and don’t include keywords – you’ll need to make sure to avoid this because it just doesn’t work with your Pinterest SEO. Pinterest is a very visual platform, so make sure you have visually appealing pins! This means that the text is easy to read and tells the reader exactly what your post is about but also draws them in. Making sure you have crafted the perfect titles for your content goes a long way when you only have a few seconds to grab the attention of your audience. Also, images that are long and rectangular do better than ones that are shorter. For each blog post, I try to make 2-3 different pin-able images. See that “data-pin-description” tag above? Copy and paste that into your image code. The reason you will want to use this instead of using the alt tag for your description (what many people recommend to do) is that the alt tag is for SEO purposes only. The alt tag is meant to describe the image in case someone isn’t able to see it. Using the alt tag for your Pinterest descriptions can get you penalized by Google. The easiest way to fix this? Use the “data-pin-description” label above! This is a super important part to Pinterest that is often overlooked. Above I mentioned how I incorporate keywords at the end of my Pinterest descriptions. This brings up various keywords! If I were to write a post on blogging tips, I’d include keywords such as “blogging tips for beginners | blogging tips wordpress | blogging tips and trick” etc. We are given even more ideas by doing this such as “blogging tips tumblr, blogging tips writing, blogger” and so on. After playing around with a couple different combinations an keywords, you will have a decent sized list of keywords to include in your pin descriptions! Pinterest favors users who are active on the platform. Just like many other social media platforms, your content will be shown more if you are actively participating. Some people find it hard to pin throughout the day (especially if they have other jobs) which is where Tailwind* (affiliate link) comes in. Tailwind is an auto pinning app, so you can plan your pins all in one day and set them to pin periodically through the week for you. Tailwind is the most robust and best Pinterest software that I have come across. You are able to plan what you pin to each of your boards so easily. And while these are my personal results, Tailwind also publishes the typical results of Tailwind members, so you can see what results look like for the typical member! Watch this short tutorial to see just how easy it is to incorporate Tailwind into your Pinterest marketing strategy. For me, I usually sit down every Wednesday and Sunday for 20 minutes to schedule my pins. Want to try Tailwind for free to kick off your Pinterest marketing strategy? Sign up here and receive a free trial to try it out! (I promise you will not be disappointed). Just click the green “free trail” button on the sign up page (no credit card is required). Group boards need to be apart of your Pinterest strategy! Pin Groupie is the place to go to start searching for group boards in your niche. I also have a small group board to share blogging tips and one for graphic designers as well that is always accepting quality pinners. When I first started out on Pinterest nobody really explained group boards to me, so I didn’t understand them. Now, I pin nearly all of my pins to group boards. With Tailwind, you can schedule your group board pins out in advance as well so that you don’t need to be constantly going into Pinterest to pin your content. Just make sure you follow the rules for your group boards and only pin as many times as you are allowed per day! 2019 UPDATE: I wrote this post in 2017 and now in 2019 my opinion on group boards has changed and they aren’t the way to go. If you join Tailwind, you’ll be able to see your board analytics and in there, you can see which group boards are helping, and which are a waste of time. Most of mine I’ve found to be useless for driving traffic. I’ve found Tailwind Tribes to be a much more effective way to grow my Pinterest account and the traffic to my blog. Plus your efforts through Tailwind Tribes are trackable through Google Analytics. Regardless, I am still going to keep this paragraph in here so that you can experiment and see whether group boards work for you! Like I mentioned above, I always add a couple of pin-able images into each blog post to increase the likelihood that they will get pinned by my visitors. I also have a custom “Pin This” button that is on brand with my business and blog, to encourage pinning! If you’d like to get your own custom Pin This button, I have designed over 50 free custom “Pin-This” buttons, which you can add to your site for free (no coding required, instructions included!). Another way I encourage people to share my content on Pinterest is to ask them! In various blog posts, my call-to-action is asking them to share/pin my content if they found it useful. If you ask your readers to do something, chances are high that they will follow through! Your Pinterest marketing strategy would not be complete if you didn’t do some analytical work! I cannot stress enough how important it is to go look at your analytics and see how your pins are doing. I use Pinterest’s analytics as well as Tailwind’s to see which pins are performing well and which ones need to be revamped. Tailwind also has a great feature where you are able to see which pins of your are the top performers, so you can re-schedule them to be pinned, and continue to gain exposure to your account. Update: As of October 1, 2018, my Pinterest account is near 1 million average monthly viewers and this definitely wouldn’t be possible without the help of Tailwind! If you found this post useful, I’d love a share!